Zebras are known to be difficult, ill-tempered creatures, so it’s understandable that some zookeepers would want to avoid dealing with them. On the other hand, wildlife parks need to draw in customers, and the hoofed creatures are gorgeous, so it’s understandable that management would want to work around this. 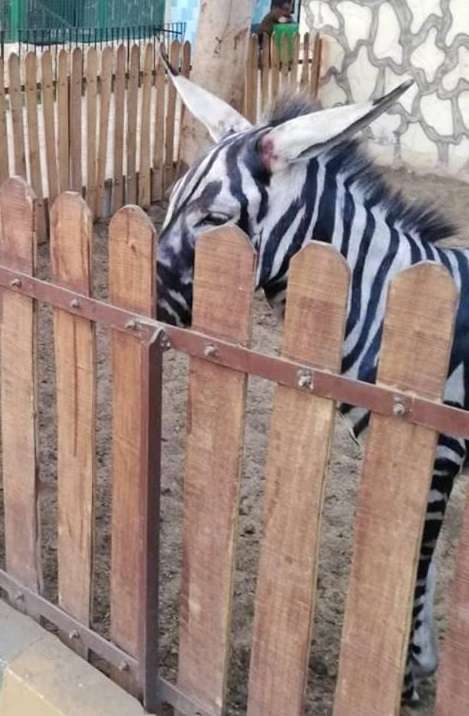 Yet under no circumstances should the solution to this dilemma be to take a donkey, paint it white with black stripes, and put it in a zebra enclosure. According to a report by Egyptian outlet Extra News, Mahmoud A. Sarhan, a student from Cairo, was visiting the city’s International Garden municipal park earlier this week when he came across a pair of equines that were clearly not as advertised. After posting several photos and a video to social media, the story quickly went viral. Many veterinarians, contacted by journalists covering the zoo’s cringe-worthy counterfeit attempt, have since stated that there is no way these animals are zebras, as their stripe patterns don’t resemble those of any of the three species within the African zebra genus. Plus, real stripes don’t start to smear in hot weather. As for what type of ungulate lies under the poorly executed disguise, the long pointy ears and light-colored snouts make them dead ringers for domesticated donkeys. But Sarhan didn’t need an expert to confirm this. “From the first sight I knew that it was a donkey not a zebra as I’m an artist. I know the shape of donkeys and also I know the shape of zebras,” Sarhan told IFLScience via online message. 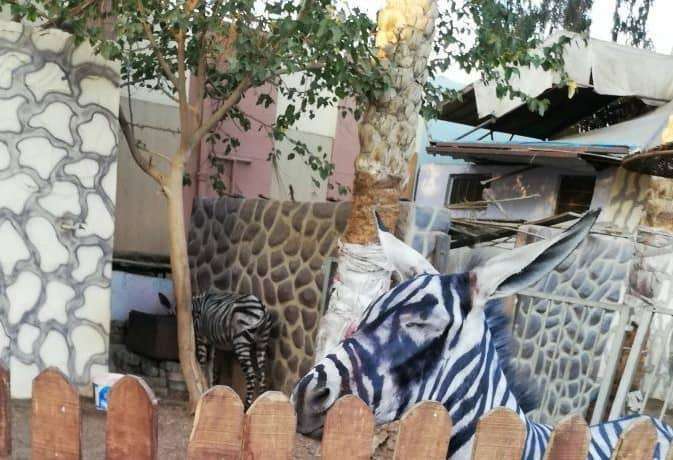 When officials at International Garden were asked for a response by local radio station Nogoum FM, director Mohamed Sultan reportedly insisted that the zebras are genuine. Interestingly, domesticated donkeys and zebras are closely related enough that they can produce hybrid offspring, known as “zedonks”. These cross-bred animals are often sought out by exotic animal enthusiasts because they (sometimes) inherit the calmer, friendlier demeanor of a donkey but keep the beautiful stripes of a zebra.